As an indie bookstore, we wanted to bolster indie authors and help them publish books. That’s what this endeavor is all about. Way back in December of 2015 (yeah, we know that was a while ago), we announced that we were accepting submissions for a brand new publishing imprint launching in 2016. And then 2016 happened. And, well, we all know how that went. We were able to get everything back on track in 2017, and we are finally launching our first set of three books in 2018. Our goal with this new publishing imprint is to give voice and platform to independent authors and artists. 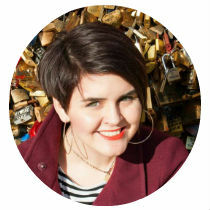 We’re working from a hybrid publishing model, which means that our authors and artists get to keep all the rights to their own works just like with self publishing, but we take some of the profits to help with production, marketing, distribution, and all the behind-the-scenes tasks that make book publishing possible. The model is a lot more lucrative for authors than a traditional publishing model, and they get support and marketing they wouldn’t get if they self published. And we, as an indie bookstore, get to support them and publish books we’re passionate about. Everyone wins! So, what’s the absolute best thing you can do for yourself today? Take the day off? Nah. You need money. Soak in a hot bubble bath? Too much work. Sit and stare off into space? Getting warmer. How about TREATING YOURSELF TO SOME BOOKS? Doesn’t that sound lovely? You could curl up with a nice cup of [insert drink here] and get lost in a world that’s not ours (because let’s face it, ours is terrible). Besides, if you don’t buy these books, you’re probably just going to spend this money on something dumb anyway. It’s not like you’re going to save the world with it. Be honest with yourself, you’re probably going to use it to buy some unnecessarily large cup of coffee or fast food because you didn’t feel like cooking. Don’t spend your money on something dumb like food. Spend it on something awesome like books. We truly believe in all three of these books, and we know all of our customers will enjoy them. You can find more information on the books and their authors below. This Gregory Maguire-esque young adult epic fantasy novel takes all the characters you know and love from the classic tale of Peter Pan and reinvents them through a newer, darker, grittier lens. 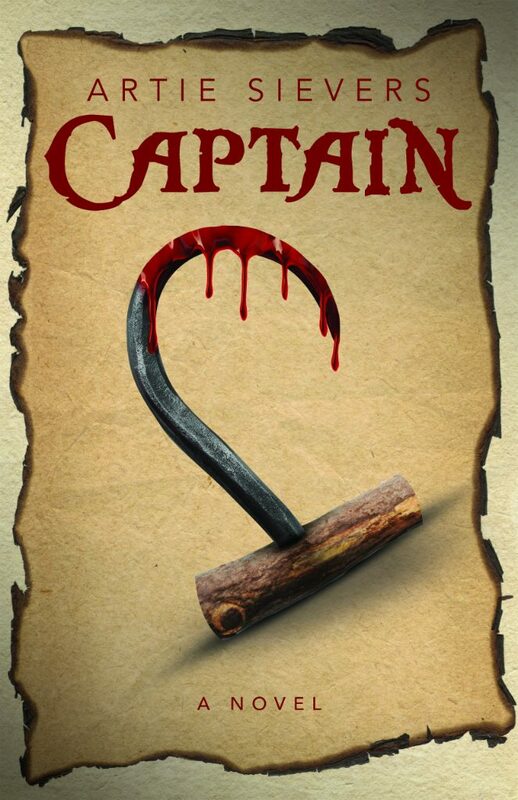 Captain offers us a fresh view of one of the most feared characters in all of literature, the sinister Captain Hook, and asks us to decide for ourselves who the villain of this tale truly is. This is a must-buy for fans of Once Upon a Time, Wicked, and retold fairy tales. The awkward stegosaurus and the clumsy stegosaurus are too strange and weird for the other dinosaurs. Can they overcome their own self doubt and work up the courage to speak to each other? Empowering, inspiring, and relatable, The Two Stegosauruses will warm your heart and show you that no matter how weird you think you are, you are not alone. This cute story will appeal to fans of All My Friends Are Dead and T-Rex Trying, to kids, and it makes a great gift! Alligator, Bayou, Crawfish is the most NOLA alphabet book on the market. And yep, we just made “NOLA” an adjective. From alligators to oysters to voodoo, these are the ABC’s your mom and them taught you. With New Orleans themed illustrations for each letter of the alphabet, this charming book makes the perfect gift for babies or for anyone who loves New Orleans! Artie Sievers, author of Captain, has been a lot of things: an actor, an Army medic, a carnival dunking booth operator, an arts administrator, a narrator, an author, and a composer. He received the 2017 KSF Artist of Choice Award for his musical The Goree All-Girl String Band. Artie also runs the super popular (read: vaguely known) Instagram account @catsatthemet, where he’s on a lifelong mission to find every single cat that appears at the Metropolitan Museum of Art. He lives in what the Lenape once called “The Great Maize Land” with his two cats, one of whom is a real girl. 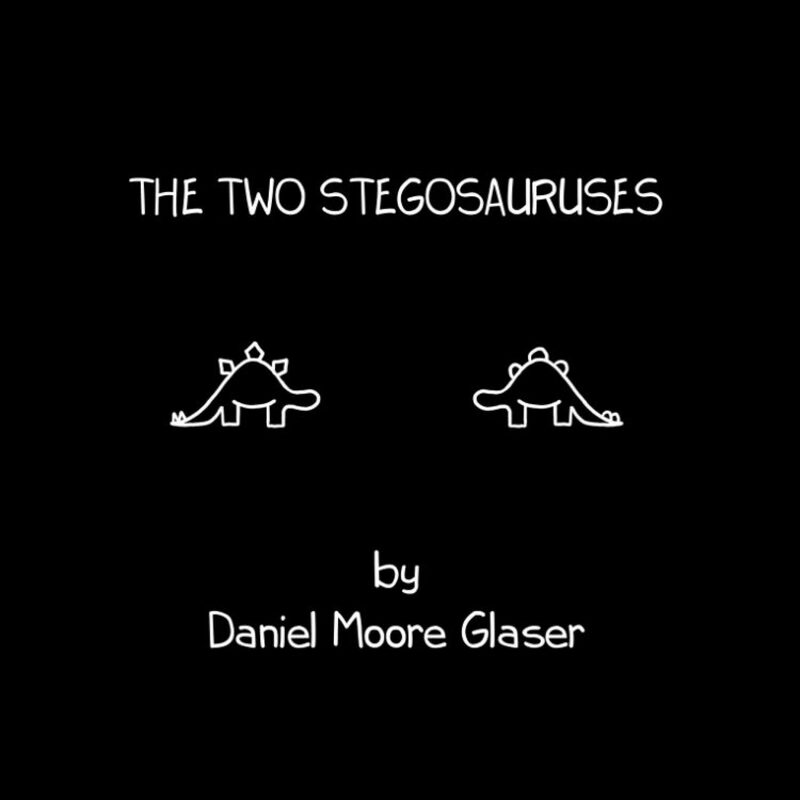 Daniel Glaser, author and illustrator of The Two Stegosauruses, has created fun experiences for others ever since he started drawing cartoons for his classmates in second grade. A New Orleans native, he graduated from Benjamin Franklin High School while attending the New Orleans Center for Creative Arts (NOCCA) for Visual Art. 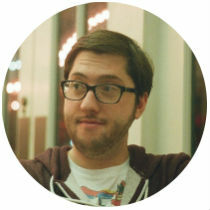 He attended college at the University of Louisiana at Lafayette, where he graduated in Computer Animation. 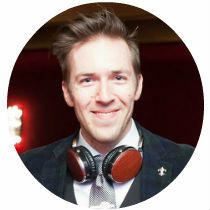 Daniel loves to code and build applications that help the daily lives of other people. He currently works as a software engineer when he is not drawing or playing board games. 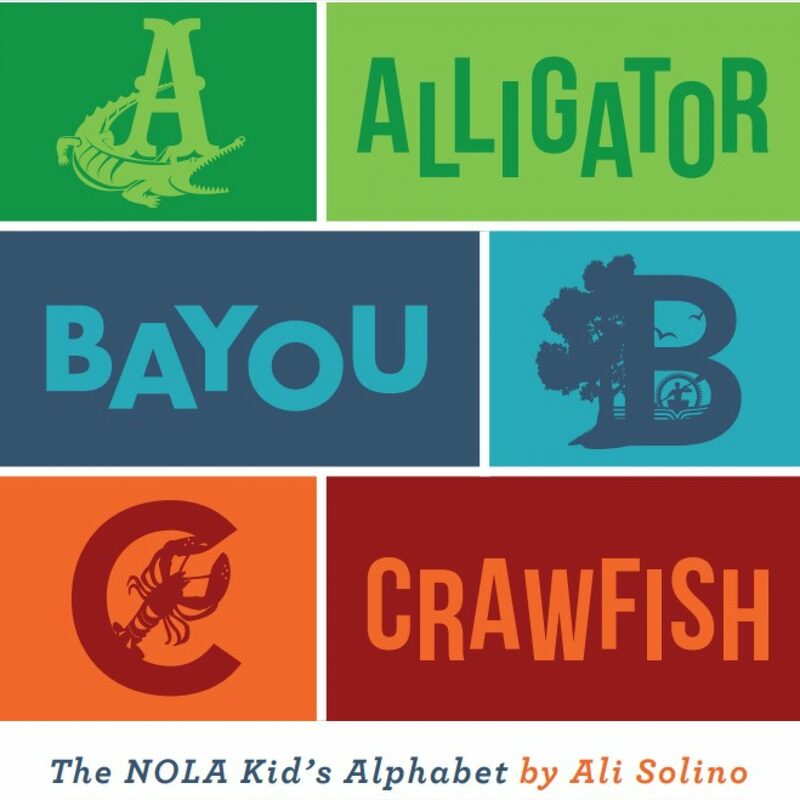 Ali Solino, author and illustrator of Alligator, Bayou, Crawfish, is a former art director and dedicated ice coffee drinker who was born and raised on the West Bank of New Orleans and graduated from St. Mary’s Dominican High School. She currently lives in the New Orleans metro area. Ali is a mom, a wife, and a huge believer in the power of daily acts of kindness. She’s inspired by the little joys of everyday life. Fun fact: Ali designed the Tubby & Coo’s logo and the front cover of our fantasy novel Captain! If you supported this project through crowdfunding, we would like to shout out a HUGE THANK YOU! By backing this project, you not only supported us as an indie bookstore, but you also supported THREE independent authors. Our authors will get to keep all the rights to their own works while we help with editing, cover design, distribution, marketing, and all the behind-the-scenes tasks that make publishing books possible. Thank you so much for supporting our endeavor to give voice to independent authors.